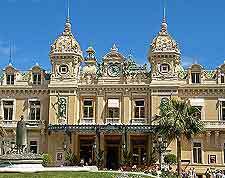 Although small, Monte Carlo packs in a lot of tourist attractions within its relatively compact area. From the historic Monaco Ville district - where the grand Prince's Palace impressively guards over the city, to the hedonistic haven of the Grand Casino - where chips and money pass hands in an electrifying atmosphere, Monte Carlo epitomises wealth and luxury attractions. 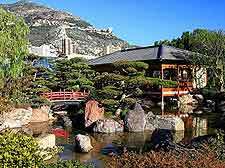 If all the million-dollar yachts and sleek sports cars go to your head, seek respite in the tranquil attractions of either the Jardin Exotique (Exotic Gardens), or the Japanese Garden designed by Yasuo Beppu. 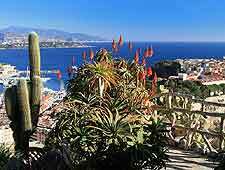 There is also plenty of relaxed strolling for tourists to enjoy in Monte Carlo, especially along Avenue Saint Martin, home to famous Monaco Cathedral, where the once glamorous Princess Grace is buried. Also known as the Casino de Paris, the Grand Casino is one of the city's most architecturally beautiful constructions and tourist attractions. The ornate interior of the Grand Casino makes it worth a visit, regardless of whether you plan to indulge in a game of roulette or not, and its gold and marble details ooze with affluence. Drawing gamblers and curious visitors alike, this glamorous casino is the ideal place to watch vast amounts of money and chips change hands. Also onsite and displayed in a glass case is an impressive 500,000 chip. Don't forget to don a jacket and tie if you want to be allowed entry. Monte Carlo's only public beach doesn't draw the fashionable crowds that its private counterpart, Le Beach, does but it is a good alternative with its soft sands and water sports. Backed by high-rise condominiums, the manmade beach gets busy in peak season so arrive early if you want to hire a deck chair and an umbrella. A stroll along this world-famous avenue will reveal outstanding cliff-side gardens perfect for relaxing. 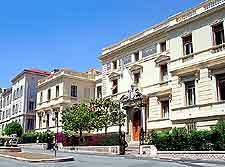 Also on the Avenue Saint Martin is the 19th-century Monaco Cathedral, the burial site of Princess Grace and many other Grimaldis. Featuring hard-to-find flora, including numerous desert plants found locally, the Jardin Exotique (Exotic Gardens) makes for a great family day out. A guided walking tour of the facility will allow you to see many of the plants, as well as the onsite grotto and further similar attractions. A highlight of the gardens are the multitude of unusually-shaped cacti growing here. These otherwise serene public gardens can become very crowded in peak season, as evidenced in the novel Mr. Palomar by Italian author Italo Calvino. Their popularity, however, is due to their prettiness and Japanese charm. Architect Yasuo Beppu designed this small Japanese Garden, incorporating water, stone and plant features. Don't miss the teahouse, which was constructed in Japan and later reassembled in Monte Carlo, and also the seasonal attractions, such as the springtime cherry, azalea and camellia flowers, and the fall colours of the maples in the autumn. 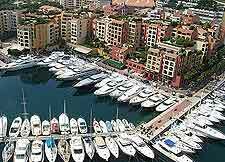 No trip to Monte Carlo is complete without a stroll around its harbour, where million-dollar yachts rest in the docks. This is the ideal place to people-watch at one of the cafés, from where you cannot only admire these sleek vessels, but you may also catch a glimpse of their wealthy occupants, and perhaps even a holidaying celebrity or two. 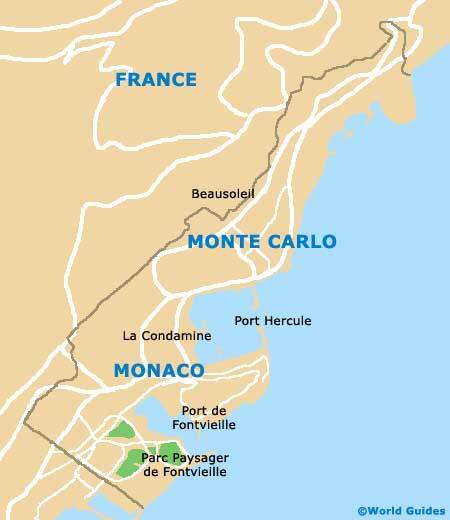 The citadel on the Rocher is home to Monaco Ville, the old capital district, and is full of charm and attractions. 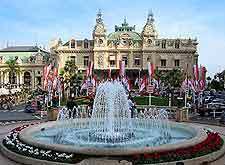 It is here where the highlight of Monte Carlo lies - the Prince's Palace - as well as the Monaco Cathedral, the Oceanographic Museum and Aquarium, and a host of quaint boutiques, eateries and more besides. The best way to appreciate this historical area is to explore the neighbourhood on foot.